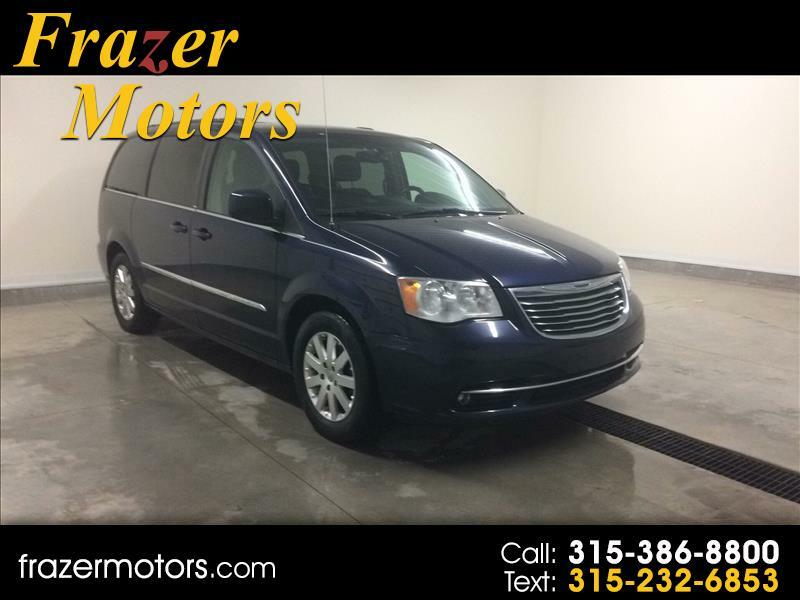 **2014 Chrysler Town & Country Touring** THIRD ROW. REAR ENTERTAINMENT SYSTEM. BACKUP CAMERA. LEATHER. STOW N GO. LUGGAGE/ROOF RACK. POWER SEAT. HEATED EXTERIOR MIRRORS. BLUETOOTH CAPABILIES. USB PORT. Rated 4.4 out of 5 stars by CarMax. The 2014 Chrysler Town & Country is known for is plentiful features, excellent safety scores, and versatile rear seating! Come on in and check it out today! Here at Frazer Motors we're confident in the quality of our vehicles, which is why each one comes with a FREE 6 Month/6,000 Mile Warranty! Warranty Description: ENGINE: Cylinder block and all internal lubricated parts including: crankshaft, rod & main bearings, cam bearings, connecting rods, wrist pins, pistons, piston rings, camshaft, cam tower, lifters, cylinder head, valves & guides, valve springs, timing chain & sprockets, timing belt & pulleys, intake & exhaust manifolds, flywheel, oil pump, water pump, fuel supply pump, vacuum pump and more. TRANSMISSION: Case and all internal lubricated parts including: oil pump, valve body, torque converter, main shaft, clutches, bands, drums, gear sets, bearings, bushings, solenoids, transmission mounts and more. TRANSFER CASE: Case and all internal lubricated parts including: main shaft, gear sets, chain & sprockets, bearings and bushings.